Temple of Mrn, one of the 13 temples that are part of the shrine of Hatra. 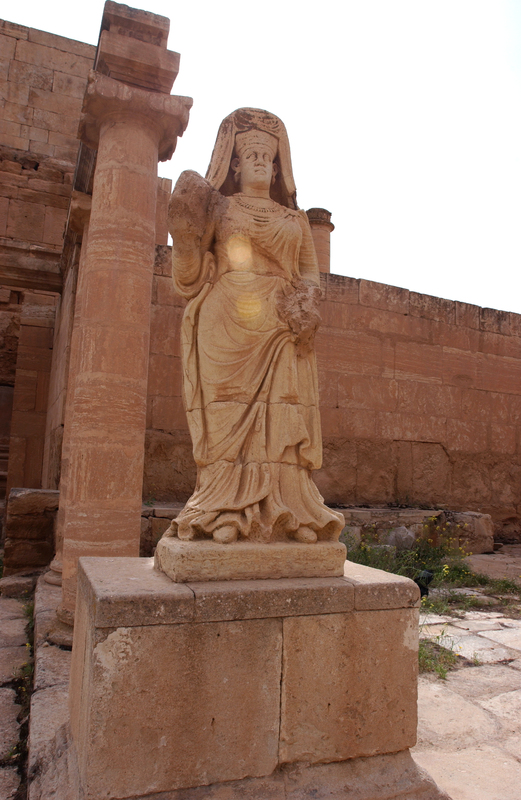 The ruins of Hatra, located between the rivers Tigris and Euphrates. Hatra is an ancient city in al-Jazira region of Iraq, which lies 290 km northwest of Baghdad and 110 km southwest of Mosul. Founded between the 3rd and 2nd century BC, it became the capital of the first Arab Kingdom. It was built in a circular plan of military tradition with inner and outer walls, while at the same time reinforced by more than 160 towers. Because of its strategic position, the town prospered and became an important religious and trading centre. 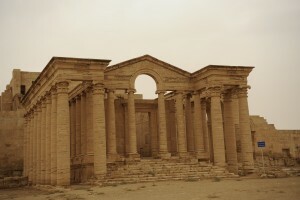 In the I-II centuries, Hatra became known as Beit ʾelāhāʾ, House of God, term referenced to the city’s numerous temples, consecrated to the gods of the Greek, Aramean, Mesopotamian and Arabian pantheons. 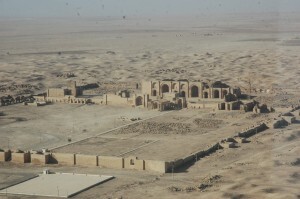 Hatra was the best preserved and one of the most informative and impressive examples of a Parthian city. In 1985 it was designated a UNESCO World Heritage site. 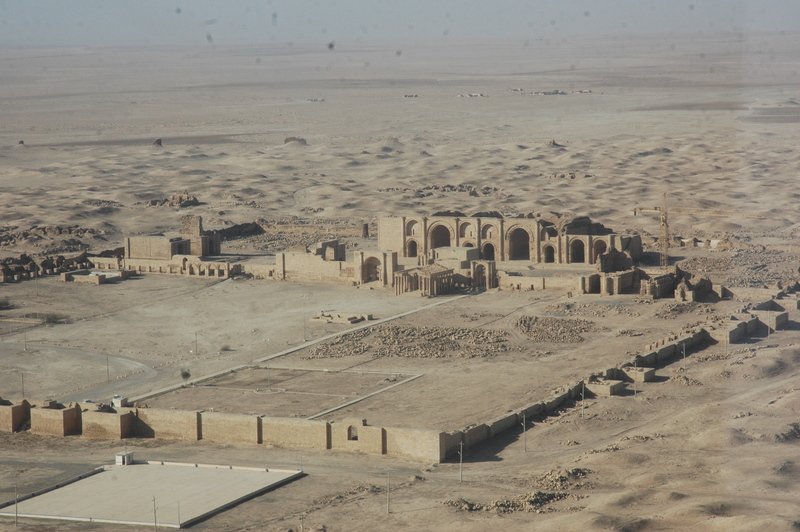 During the 39th session of World Heritage Committee (June 2015), the archaeological site of Hatra was inscribed on the World Heritage List in Danger with other sites such as Ashur and Samar, which expanded the list to three Iraqi sites. The Committee strived to inform and sensitize the international community about the acts of violent destruction and deteriorating condition of Iraqi heritage. Statue representing the goddess Shahiro – the morning star, in the temple of Shamash – spirit of the sun. In April 2015, videos reported that an armed group used explosives and a bulldozer to destroy sculptures located on the walls. In addition, it showed members of ISIL demolishing statues and smashing decorations on the site.